Google and HP announced today that the HP Chromebook 11 laptop will cost only $279. The laptop offers a super-sharp screen that runs Google's Chrome operating system. The laptop is small and light, and borrows many of the high-end features found in models that cost $1,000 or more. The price is cheap, but the laptop is built well. It is made from durable plastic that includes a sturdy inside frame that does not allow bending. The laptop is available in black or white. If consumers choose the white version it has a variety of Google themed color accents like blue, green and yellow to choose from. The new laptop's display measures 11.6 inches diagonally, which is the same as a popular Chromebook model by Samsung Electronics Co. The Chromebook 11 weighs slightly less, at 2.3 pounds. It is charged by a normal USB cord, the same kind used on most non-Apple smartphones or tablets. The new laptops screen is almost as sharp as the one on the Chromebook Pixel, but it does not include touch to keep costs down. 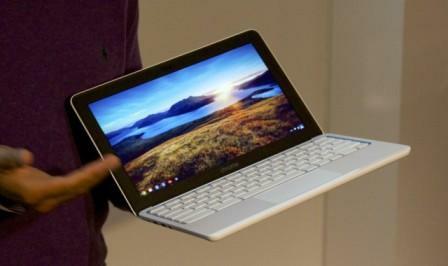 Caesar Sengupta Google's Product Manager Director, unveiled the new Chromebook at an event in New York City. Google's Chromebooks have seen a major streak of popularity. "One in five school districts in the U.S. have deployed them to some extent," Sengupta said. 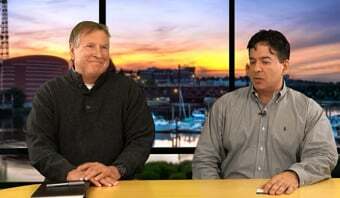 He also stated that the company worked closely with HP to create a Chromebook "for everyone." Sengupta explained that both Google and HP made a few trade-offs to keep the laptop's price low. The new Chromebook 11 does not have a touchscreen, and the display’s resolution isn't as sharp as the Pixel's. It has only 16 gigabytes, compared to 32 gigabytes of the base model of the Pixel. The Chromebook 11 went on sale today and is available directly from Google or through retail stores like Best Buy.